What’s a girl to do when she falls in love with a prince? Kumari Senavaka’s new romance is the ultimate fairytale! She’s being wooed by none other than Prince Benedict, grandson of the Queen, son of the Prince of Wales, and sixth in line to the British throne. Sound familiar? Author Jeevani Charika has certainly drawn on many elements of Prince Harry and Meghan Markle’s romance to bring us this story, but she takes us beyond the fairytale to show the realities of what it must be like to adapt to royal life when you’re not born to it, and when you’re looked on as an outsider for all sorts of reasons. Must she stop doing what she loves? Then there’s her career. She’s a dedicated NHS doctor, and also committed to charity Boost Her!, educating woman in Lesotho on healthcare. Will her liaison with Benedict mean she must withdraw from both roles? And what about her family and friends? Of course, she’ll still be able to see them, but on Palace terms, not her own. For there are traditions to follow, ways of doing things, and boundaries that must not be overstepped. It’s enough to test Superwoman’s nerves of steel. No wonder Kumari is having second thoughts, not about Benedict himself, whom she adores and who adores her, but about becoming part of the royal family. Does she have the courage to make it to the altar? Gradually, as she gets to know them, Kumari discovers that she has more in common with her prospective in-laws than she thinks. But does she have the courage to make it to the steps of the altar and embrace all the royal traditions, including Christmas at Sandringham, where the Queen, Benedict’s grandmother holds sway? Christmas at the Palace is a delightful, but very perceptive look at the role the modern royal family play in Britain today (including the difficulties they face), the way British people of different ethnicity can be treated, and the struggle of modern women to have it all. We all have to compromise but Kumari is asked to make more compromises than most. I would have liked to have seen Prince Benedict make some sacrifices – there’s never any suggestion that he should adapt to Kumari’s life. This is probably a very accurate reflection of how things work in the royal family (I don’t think we’ll ever again see Meghan Markle in any new acting role), but I do wish the author had at least explored the possibility of Ben and Kumari taking off to Lesotho where she could work as a doctor while he carried on his charity work. But that’s not to take away from this story. With its engaging characters, fast-paced action as Benedict and Kumari embark on their whirlwind romance and its tantalising glimpse of what it really is like to be a member of the British royal family, Christmas at the Palace is a thoroughly engaging read. 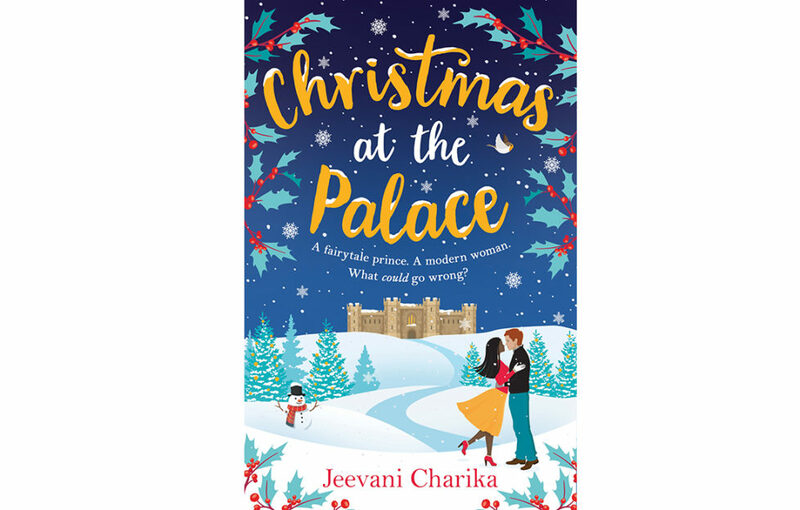 Christmas at the Palace by Jeevani Charika is published by Zaffre in paperback, RRP £7.99, and available from Amazon. Read our Christmassy Q&As with Jeevani here.